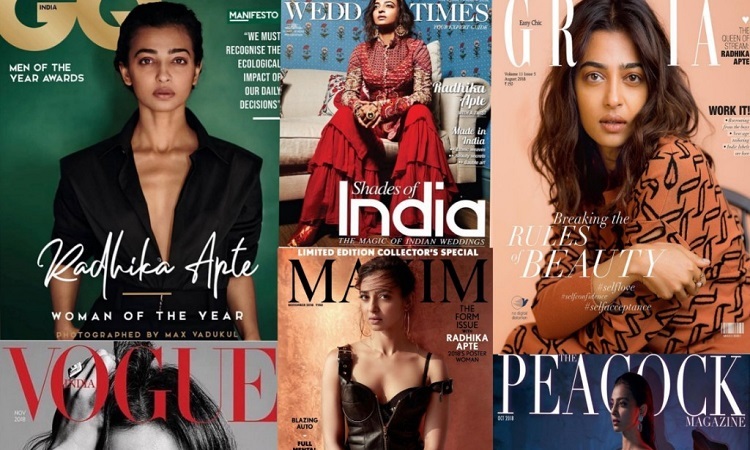 Radhika Apte has had an eventful 2018 as the actress had over 6 releases in the span of fewer than 12 months. The actress has taken the entertainment industry by storm with her back to back successful outings last year. Right from creating a mark with her films to dominating the digital platform, Radhika Apte has ruled the year across platforms. 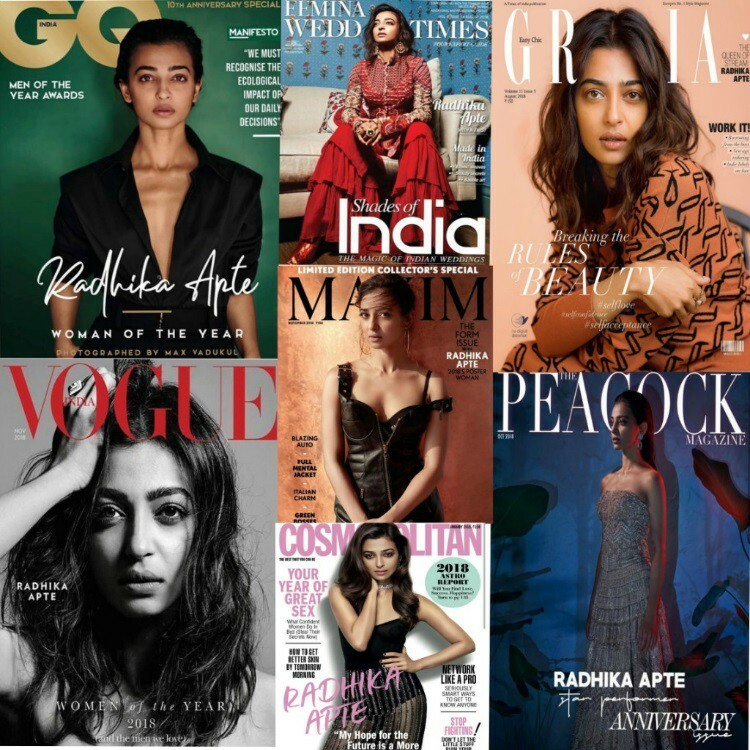 Radhika has not only slayed it across platforms but was also omnipresent on various magazine covers. With over 7 Magazine covers the actress has definitely established herself as an actress loved by all genre of people. Radhika has proved her mettle on several occasions. Her versatility and an honest persona are what endear her the most! Radhika gets into the monochrome groove, rewrites the rules of Bollywood and graced the cover of all the big magazines. The actress graced the cover of magazines like Cosmopolitan in January 2018, Femina Wedding Times in July 2018, Grazia in August 2018, GQ - Woman of the year in October, The Peacock Magazine in October, Vogue India in November, Maxim India in November. With movies like Andhadhun and Padman doing extremely well at the box office, Radhika Apte believes she has had quite a run this year. The actress not only shined through her movies but also made her presence felt on the small screen in the form of web shows. Radhika had three releases -- Lust Stories, Sacred Games and Ghoul -- this year on streaming apps. Radhika's both the movies Andhadhun and Padman is on the top rated Bollywood movies this year. Andhadhun also made it to the 2nd position on the all-time best movies 250 of Bollywood after Aanad. Recently, IMDb released it's top 10 stars of Indian Cinema list for the year 2018 and Radhika owing to the great year she has had shines in the list. Radhika Apte was also honored with the title as the "Woman of the Year" by the multiple magazines and was awarded for as the same. The actress also graced the cover for Forbes India's 2018 Celebrity 100 list.